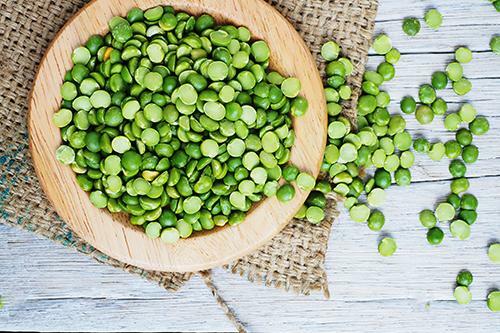 ❁ Split peas do not need to be soaked before cooking. Sort to remove small rocks or other seeds and plant parts, then rinse to remove dust. ❁ Cook split peas by simmering in water or broth. Use about 3 cups of water for 1 cup of split peas. ❁ Cooking times depend on the desired texture. For split peas that hold their shape, cook for 20 minutes. To make a smooth puree, cook for 40 minutes or longer.